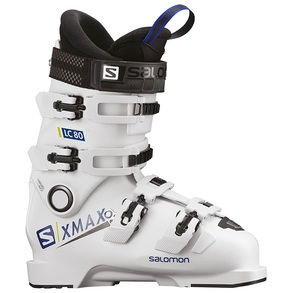 Salomons hugely successful junior race boots the LC80 is designed for fit, transmission and ease of use making it great for the improving intermediate junior skier. Instant comfort, great fit and stance. Winning technology for the next generation of champions, Xmax LC 80 incorporates Twinframe technology for superior transmission and power, with foot positioning that takes advantage of modern racing technique.